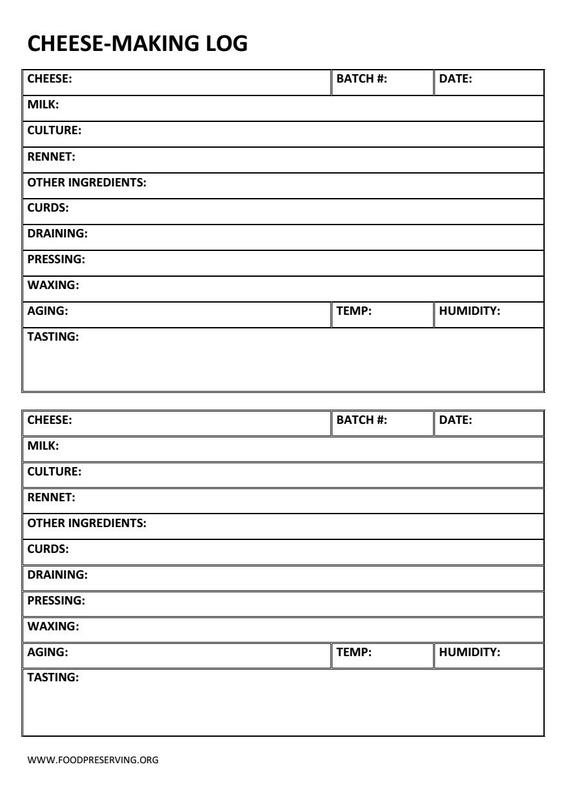 When you make your own cheese, it is often hard to remember precise adjustments to the master recipe many months later - so below we have added two of our favourite cheese-making logs for you to save and print for home use. 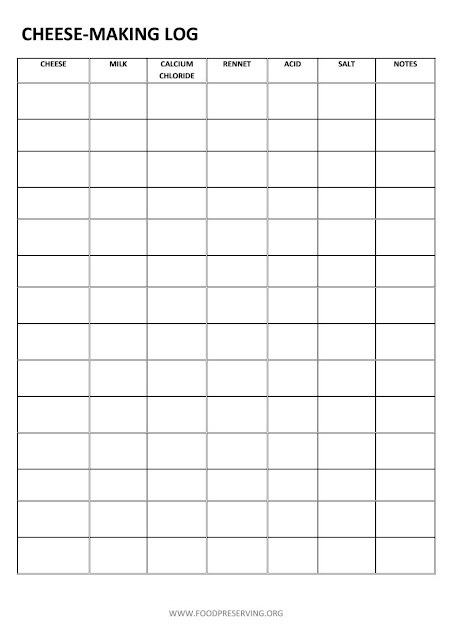 Printing many copies and getting them spiral bound at your local library or office supplier is a great way to record many years of cheese-making, especially if you like making many different types of cheese! 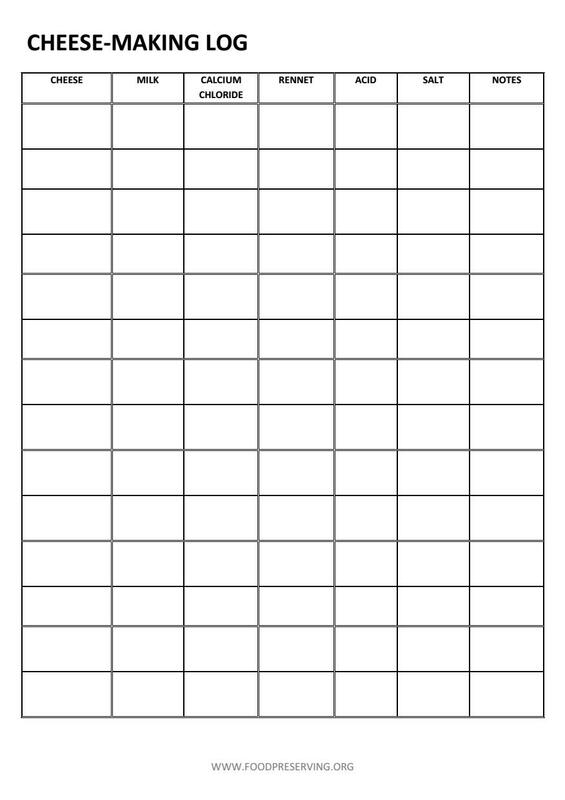 The first cheese-making log is ideal for fresh, soft cheeses, where slight ingredient or method changes may make a tastier cheese for you. 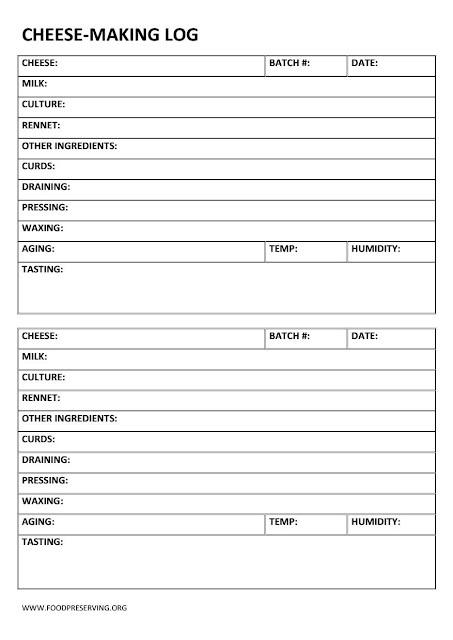 The second cheese-making log is what we use for recording firm, aged, and/or mould-ripened cheeses, where environmental factors such as temperature, humidity and the aging length can result in a tastier cheese that you want to recreate again and again.